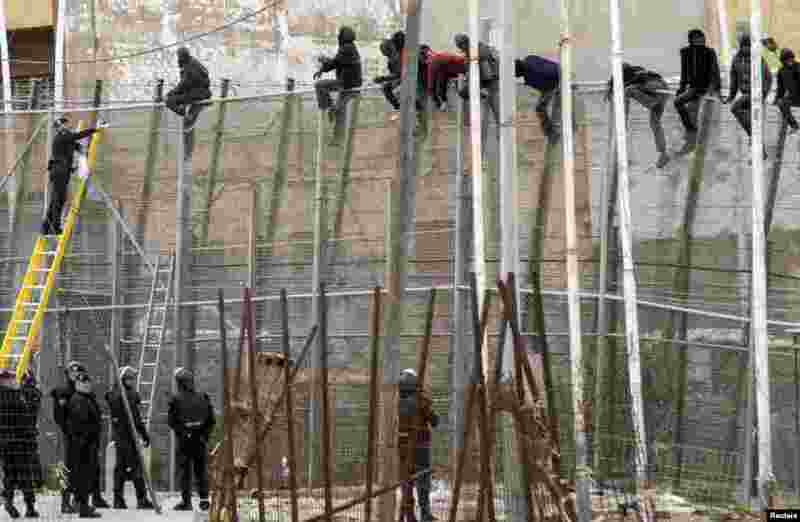 1 A Spanish Civil Guard officer (L) throws a sandwich to African migrants sitting at the top of a border fence during an attempt to cross into Spanish territory, between Morocco and Spain's north African enclave of Melilla. 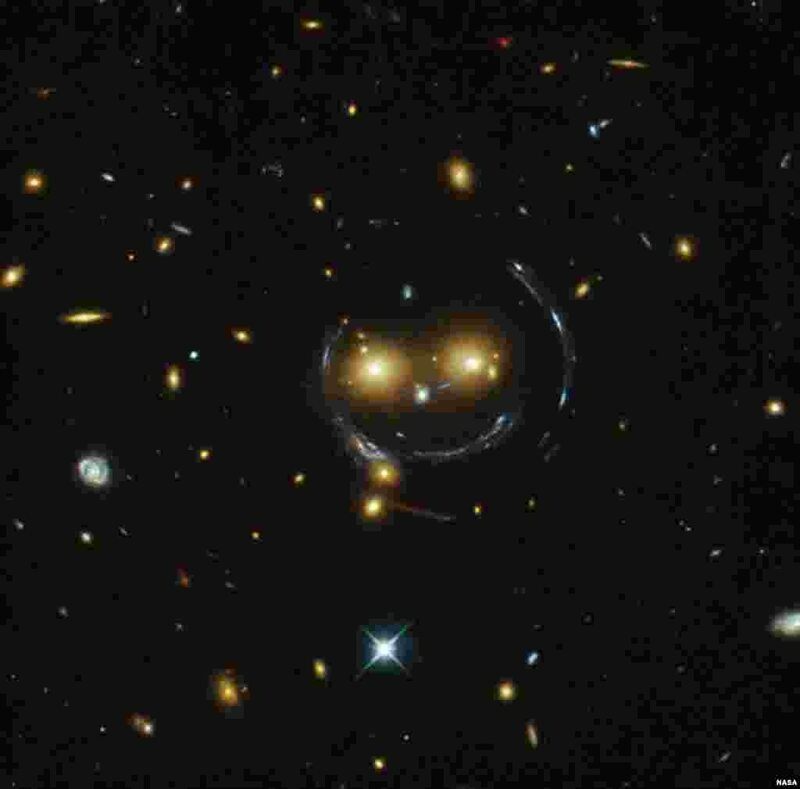 2 In the center of this image, taken with the NASA/ESA Hubble Space Telescope, is the galaxy cluster SDSS J1038+4849 and it seems to be smiling. 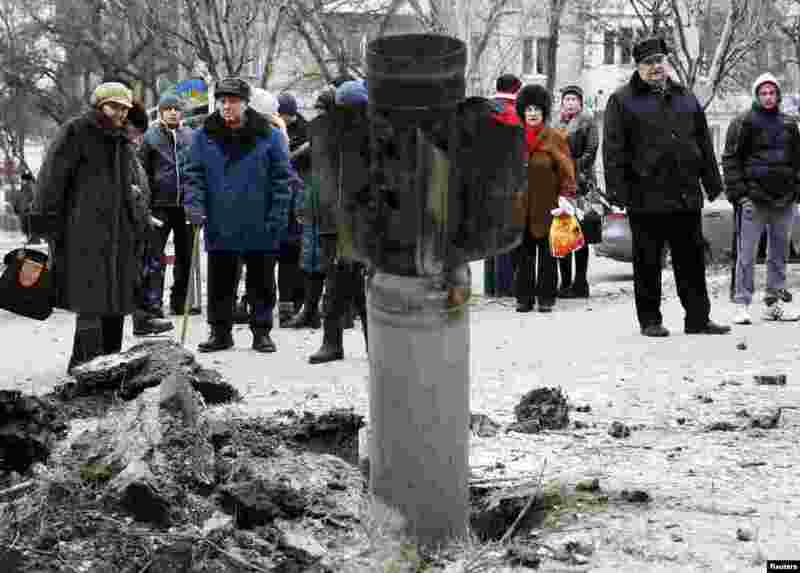 3 People look at the remains of a rocket on a street in the town of Kramatorsk, eastern Ukraine. 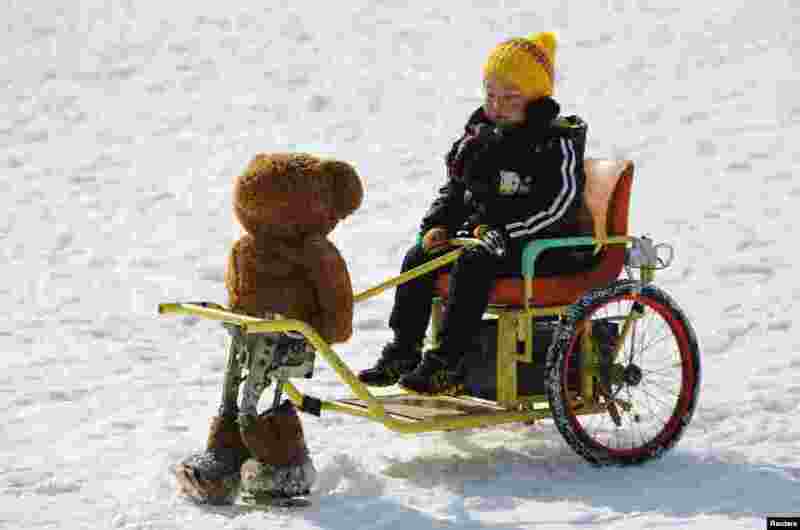 4 A boy rides on a snow wagon towed by a robot dressed as a Teddy bear during the Ice and snow carnival at Taoranting park in Beijing, China, Feb. 9, 2015.